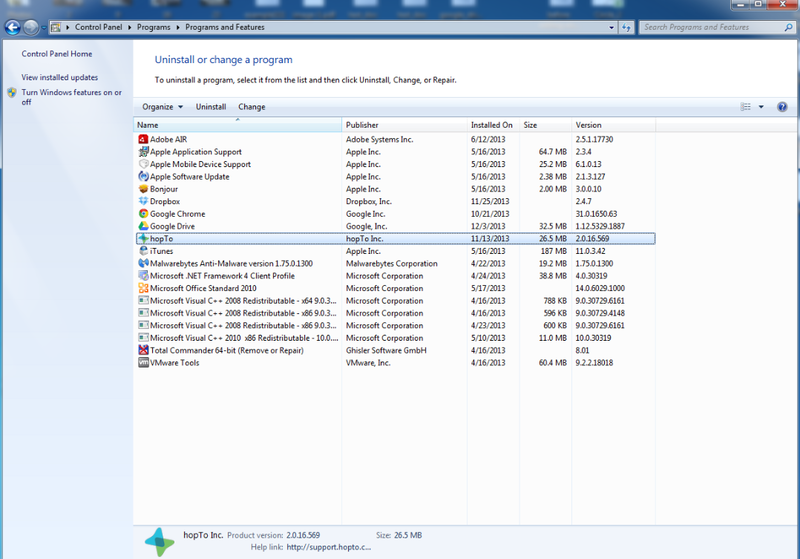 In your PC's control panel go to the window listing the installed apps available for uninstalling (This might be a bit different depending on the Windows version you are running). Locate the hopTo application in the list and click on it once to select it. Once selected click on "Uninstall". 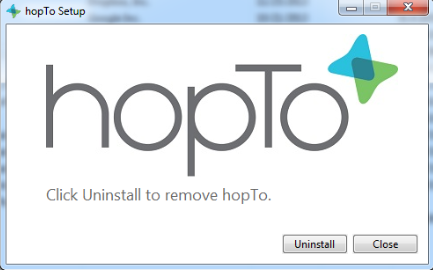 A pop window will appear - Click "Uninstall" to start the process.